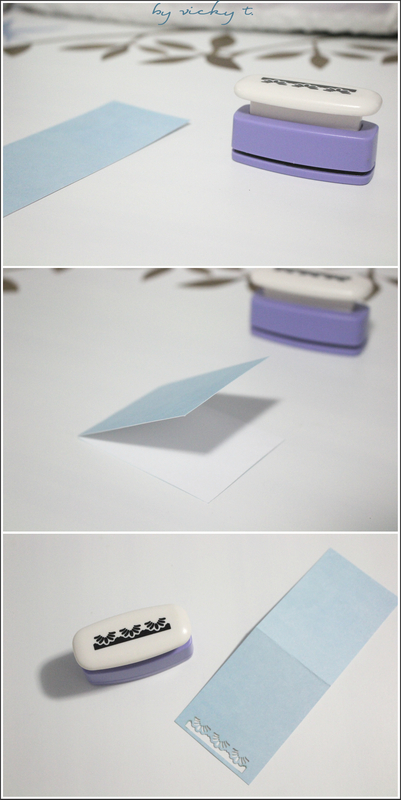 I have a habit of making little cards whenever I give a gift. They are usually super simple and super quick. Inspired by gift bag tags, I made this one last minute for a birthday gift. With a sharpie, I wrote in and decorated the front slightly before punching in a hole at the top. The hole is intended to tie a ribbon on so it could be attached to whatever item I’m gifting. 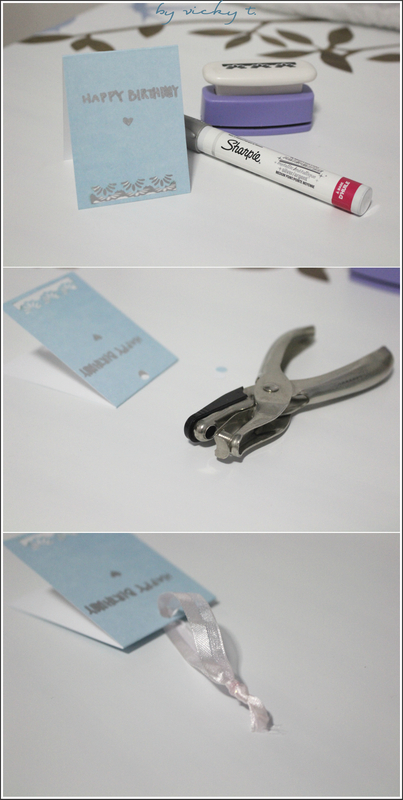 I like to tie it directly on the gift, almost like a clothing tag, since the card is so small. I’m now ready to write in my message and gift away. Can’t wait for the holiday season to start gift shopping! This is too cute- I love anything mini-sized 🙂 I need to try this! Cute and lovely idea, Vicky! I love crafts like this. Simple yet lovely. Thanx for sharing xoxo Bing. aww how cute 🙂 would come in handy when christmas is around! How adorable! I love DIY projects, so I’ll be sure to keep this in mind for next time! Great post! This is so cute– I really want to try to make this! I like to include cards for presents too, and I always make one myself if I have time! That punch makes the card look really pretty. Too bad it isn’t working as good as you wanted it to be. Cute little card! Ideal to accompany with a flower bouquet !